his weekend I finally did it. I’ve had my eye on it for the better part of 20 years. I went looking for it the very first day I signed on to the internet through AOL back in 1993. 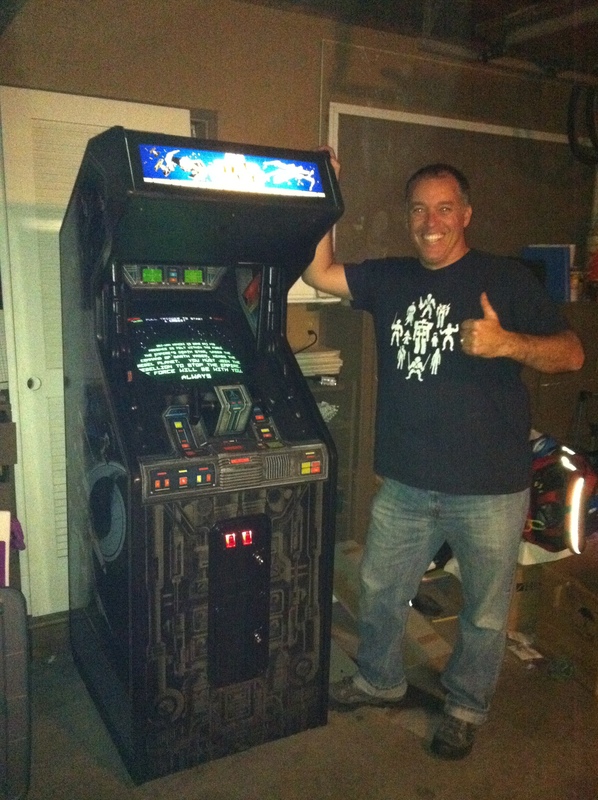 I promised myself I would have it when I was 10 visiting my grandmother and her next door neighbor invited us to come over and see the new “Galaga” arcade machine he bought and put in his living room. Countless quarters – innumerable cycles through the same levels – the smell of stale Chuck*E*Cheese pizza and the din of DigDug, Donkey Kong and Pac Man in the background. These experiences are inextricably written into my DNA and that of so many of my generation. And for me, all of it – *ALL* of it comes flooding back to that sweet, sweet music from the original 1983, vector graphics, stand-up Star Wars arcade machine. Careful negotiation with UnDorkMommy was necessary (alas, for now it will have to live in the garage… emphasis on “for now”). But finally, after the better part two decades, I have it all for my very own (my precious). It’s in absolute *pristine* condition. The monitor is bright and vibrant. The sound is clear and crisp. The yoke is firm and sturdy. It’s like it just rolled off the assembly line. At long last it was time for my kids to play. As a father who has pledged to raise healthy, well-adjusted kids within the culture of all-things-geek, I see significant exposure to classic (retro?) arcade culture as part of that equation. 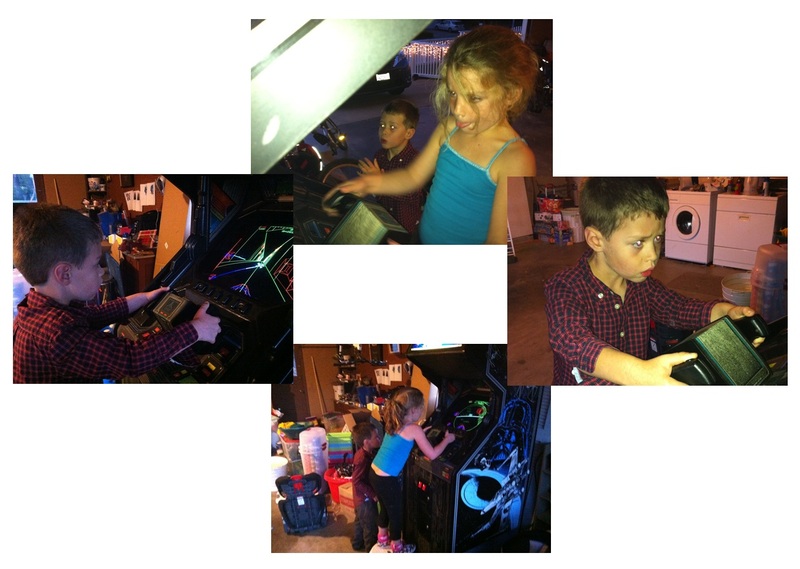 I laid down the ground rules about taking care of the 30-year-old machine, showed them how the game works, and then turned them loose to take turns on free-play mode while I got started cleaning out the garage (part of the negotiated terms with UnDorkMommy). As much as I love video games, everyone agrees that you can’t let kids spend all day in front of a monitor. My wife and I worked out a great strategy for moderation. Although they were playing on free-play mode that day, in the future if they wanted to play they would have to pay a quarter per game just like DorkDaddy did way back when, with the proceeds going to a worthy cause to be determined later. Episodes IV and V gorged themselves for the evening on Star Wars vector graphics yumminess, with the understanding that future installments were going to cost them. With the hook baited and set and the addiction initiated, I felt a little bit like a crack dealer “The first taste is free, after that it’ll cost you.” As they played and I cleaned out the garage, the sweet familiar sounds of a classic 80’s arcade spilled out the garage, onto the street and into the neighborhood. 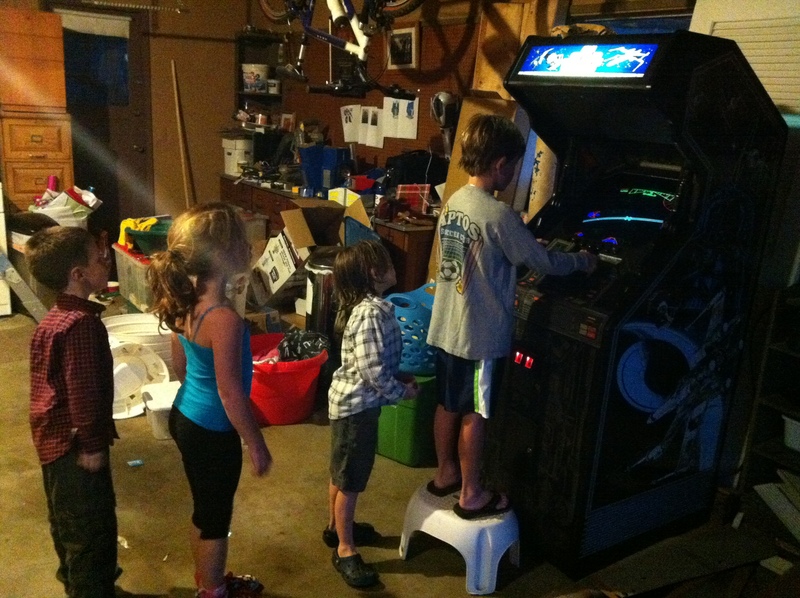 Within minutes, like moths to a flame, the neighborhood kids were lining up for a hit at the machine. I stepped back and watched them for a moment, cheering for each other, remembering lining up for that very same game more than 20 years ago, a row of quarters lined up on the monitor marking your place in line, and for one glorious moment I was completely transported through time. Like I said in our conversation last evening… I’ve been waiting for this one to show up on the DorkDaddy blog! 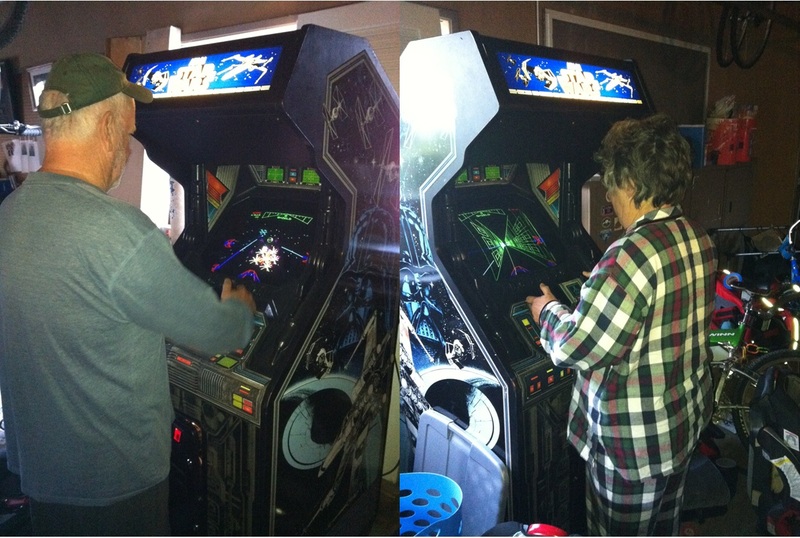 Now you need to convince UnDorkSweetiePie to permit the purchase of both an arcade ASTEROIDS and an arcade MOON LANDER. Of course all three will be BUSINESS EXPENSES since you’ll really want to install them in your DDS waiting room. Such a move would guarantee you the dental business of every space-minded geeky youth within 15-20 miles! !